As of Fall 2013, ITS will no longer provide local phone service to student housing. This change was made due to most students having a cellular phone. 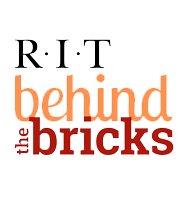 Service Lines are still installed in the RIT housing but the service is no longer active. ITS Resnet will assist any student who needs their video phone setup on the RIT Wired/Wireless Networks . Students are responsible for any cost associated with the Video Phone Service. These devices need their MAC address of the Video Phone added to start.rit.edu.